Most people wouldn’t think it was “cool” to have a nun in the family. For anyone who attended Catholic school, nuns were the teachers you typically revered, but mostly feared. Dressed in their long habits and stiff veils, with rosary beads in one hand and a long yardstick in the other, they could intimidate even the most pious child. For me, however, my father’s sister, a Roman Catholic nun, was one of the coolest people I knew. She didn’t scare me in the least. In fact, I admired, respected, and simply adored her. Born on January 7, 1918 in Duquesne, Pennsylvania, a young Anna Alzo knew from the time she was 13 that she wanted to follow this vocation. 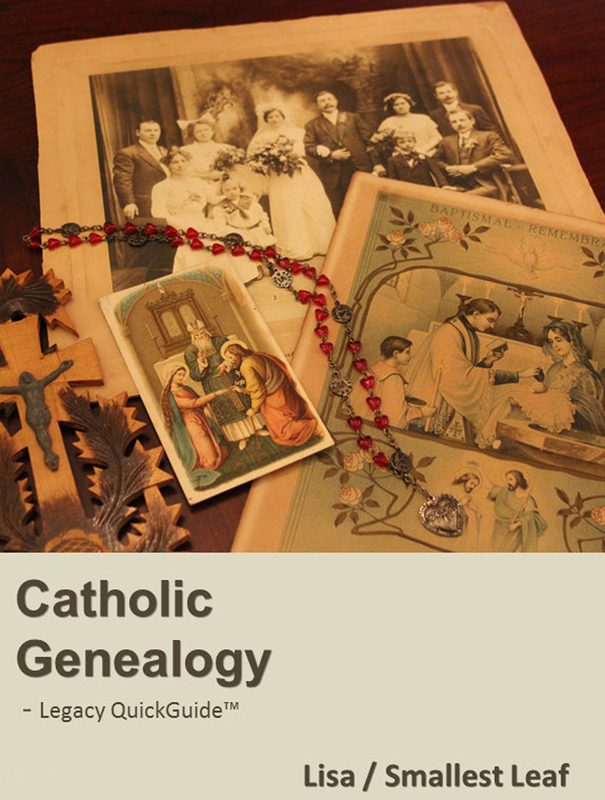 Her father, John, was Roman Catholic, but her mother, Elizabeth, had been baptized Greek Catholic, but followed her husband to the Roman Catholic faith upon marriage. There are many photographs and other mementos and “Auntie” wrote down details and little notes for each one. It is a family treasure and I am currently in the process of scanning each page in this book. One of the mementos was a clipping from a San Antonio newspaper (year unknown) of an article entitled “Christ’s Career Women.” The article gives a brief history of the order, which was founded in France in 1625. 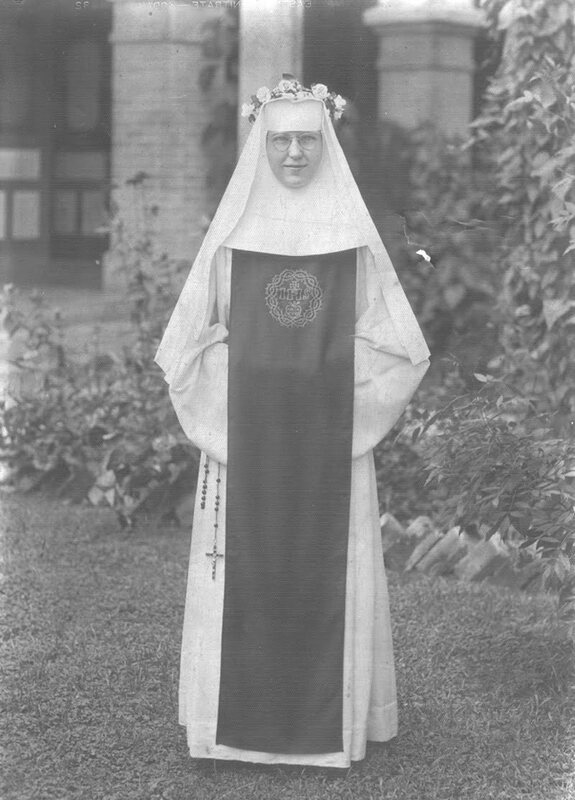 The pioneers of the order in America arrived in Brownsville, Texas in 1853, and then in 1866 a colony of sisters founded the Nazareth convent in Victoria. My “Auntie” was the “model” nun for the photograph accompanying the article. She is dressed in her traditional garb—a white habit, with the cincture of very dark red leather. The scapular was also a very dark red color, with an embroidered crown of thorns and other symbols of the Passion. I know I’m biased, but I know they picked the right sister to be their “poster girl.” Not only was she devoted to her calling, and the most holy person I knew, but she was also a kind and generous teacher. I’ve written about “Auntie” a few times on my own blog, The Accidental Genealogist, recounting some of my fondest memories, such as baking cookies with her at Christmas, and going on vacations in the summer, especially a trip to Canada to visit our Alzo relatives in Ontario. I loved spending time with her. Sometimes we played cards, other times we would sit in my Aunt Betty’s (Auntie “B”’s) kitchen and “Auntie” would attempt to teach me Slovak. I learned how to count from one to ten, and to say the “Our Father.” “Auntie” also loved to write letters. I have stacks of them she sent to me, and some she sent to my parents, my grandparents, and my aunt. Many were handwritten. Some were typed. “Auntie” was an excellent writer. Her letters always read like stories, and she had perfect penmanship. How I loved getting those letters! “Auntie” was also my family’s first “genealogist” although she never identified herself as such. In the 70s “Auntie” typed up a one-page family narrative based on stories her cousin, Mary Hatala, had told her, and I was able to use this account to track the details about many of my paternal ancestors. So not only was “Auntie” a positive influence on my spiritual life, but I’m pretty certain that “Auntie” is my muse—both for my love of writing and my interest in genealogy. 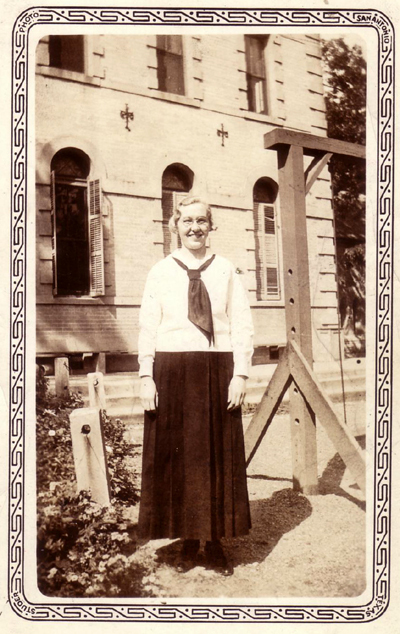 In 2003, during a visit to Texas, I got to visit the convent in Victoria and speak to many of the sisters who knew my “Auntie.” I also had a chance to visit her gravesite since she is buried in the cemetery near the convent. Whether she was “crusading for Christ” or inspiring her young niece to be a writer and genealogist, Sister Mary Camilla Alzo left her mark on the world. And that, I think, is pretty cool. Wonderful story. I don’t have any professed religious in my family (to my knowledge), but was schooled by a band of merry Dominicans. They were wonderful women. Great story, Lisa! BTW, some of my ancestors are from around Victoria, but I never knew there was a convent there! Lisa, my aunt (Sister Jean Marie Guokas) is a member of the same order, but in Houston. I bet she knew your aunt, though, since “SJM” is 81 and has been a nun for 62 years now. She was superior for a while and I know she’s been to the convent in Victoria many times. I’ll ask her if she knew your aunt and let you know. Thank you for an inspiring post! Nuns are really cool when you get to know them! Thanks, everyone. Glad you enjoyed the story. To Amanda: I’m sure they must have known one another. My aunt taught in San Antonio for a few years. I wouldn’t be surprised if I find your aunt’s photograph in my aunt’s scrapbook. If I do, I will let you know! Let me know what your aunt says. Thanks for the great post! It makes me feel a bit better about travelling half way round the world to celebrate my grandfather’s cousin’s 50th jubilee of being a nun. Sister Frances is also our family historian. Thanks for sharing your story Lisa. Your writing shows just how important she was to you. Just got here following a link in your Jan 7 post. What a wonderful story! Your auntie sounds like quite special persion indeed! Lucky for us your readers that you have her watching over you.